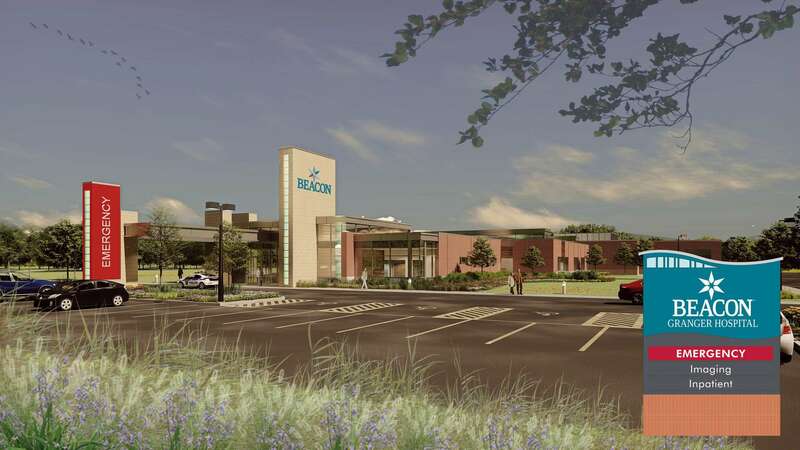 Beacon Health System today announced plans to break ground on a hospital with an emergency department on Beacon Parkway in Granger, across from Beacon Health & Fitness. At the same time, Beacon will welcome Community Hospital of Bremen to the health system, pending final approvals. Beacon ERs and Urgent Care locations, including Granger and Bremen. As the largest, locally owned and operated non-profit health care system in the region, Beacon Health System is our community’s trusted partner and guide in creating and maintaining health. Elkhart General Hospital, Memorial Hospital of South Bend, Beacon Children’s Hospital, Beacon Medical Group and Beacon Health & Fitness are powered by more than 7,000 associates and 1,100 physicians who provide the best care possible to people of all ages. Beacon is also an education organization helping to train medical residents in the fields of family medicine and hospital pharmacy. For more information, visit www.beaconhealthsystem.org.